There seems to be 50 shades of everything this month and so here I am to talk about some fairly common shady SEO practices and why this industry is in desperate need for some regulation. To clarify, this post is not about black hat, or even grey hat SEO techniques. Rather it is to highlight some of the shady practices SEO companies use to ensure you are held to ransom and never allowed to leave their clasp – at least not without consequence. Shady SEO Practice #1 – Results guaranteed! Publicity Monster sure took this one to the next level and if you need a wakeup call on why you can’t make these sorts of promises just take a read of how consumer affairs are dealing with this convicted hacker and party boy’s promises. On the subject of promises, other Shady SEO Companies will go to all lengths to get a signature on the dotted line, including making promises they simply can’t keep. One Shady SEO Company made such a promise to a client that they would be able to remove the Google penalty they had endured. They even went as far as to say that they had done this many times before with surprisingly good results. Unfortunately and not surprisingly this was a promise that couldn’t be kept and left the client almost $6000 out of pocket before they realised that this was just another empty promise. Interestingly this said Shady SEO Company was also trying to undo their own Google penalty. Using the client’s site as a test bunny was not only immoral but costly for the Client as well. This one initially took me by surprise but I later learned that this isn’t a one off occurrence and is still happening. 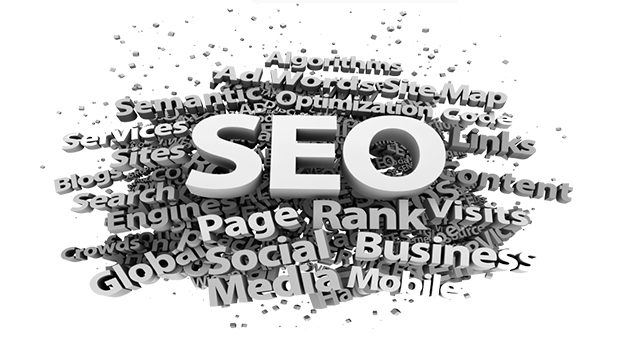 The scenario goes like this: the Client approaches the SEO Company seeking advancement in rankings. SEO Company owns or purchases some exact match domains and suggests that this will be the solution to the client’s rankings. Client agrees and moves the website across to the domain name that is offered to them by the SEO Company without realizing that the SEO that will be paying for will be to the benefit of a domain name they do not own. This sounds like a bit of a trap and it is. For small businesses such as a photographer, plumber or electrician it sounds like a feasible idea and as such they put their trust into the Shady SEO Company. All seems well until time comes that they ‘fall out of love’ and decide to take their business elsewhere. Usually it isn’t until this point that the Client finds out that all the work they have paid for is to the benefit of a domain name they don’t own. A little similar to the scenario above in this case the Shady SEO Company will host the website of the Client but never release FTP details. This one isn’t quite as serious as the scenario above, until the time comes that the Client ‘falls out of love’ with their web designer or SEO Company. At the time of ceasing the use the services of the Shady SEO Company the Client is left with the option of keeping their hosting with the Shady SEO Company or moving to another independent hosting provider. Moving shouldn’t be a problem providing that the SEO Company is willing to hand over some FTP access to enable the transfer of the Clients site. However, as the Client has just told the Shady SEO Company that they don’t want to use their services any further, how likely is it that they are going to help with the move? Shady Practice #2 and #3 are both risks that can be mitigated by doing two things. Firstly, I always recommend that a Client purchases their domain through their own independent domain registrar. This means that if all goes sour at the end of the relationship they still have control over this asset. Secondly, I always recommend that a Client seeks out their own hosting account rather than going through an SEO Company or website designer. It doesn’t take more than 30 minutes on the internet for the Client to do their research, find a good local hosting provider, register for an account then pass these details on to their SEO Company or Graphic Designer for FTP access. This means is that when the time comes to end the relationship the Client can break away without any threats to their domain name ownership, the websites hosting arrangement and e-mail access. This one surprised me equally as much. In this instance, a client who was subjected to the false promises of the Shady SEO Practice #1 later complained about the lack of service and rankings that were not achieved. Not only did this particular SEO Company fail to issue a refund they actually logged into one of their other past clients Google Accounts to use it to leave a negative review! The Client found out that this was the case by contacting the source of the negative review asking for answers only to find out that they shared a Shady SEO Company in common. This one is borderline shady depending on where your morals sit. In this instance, the Shady SEO Company actually made full use of the “Report Webspam” tool in Google by submitting the URL’s of all their competitors. Okay that sounds pretty legitimate – Google provides these tools so that the community can help them identify who has been a bit spammy with their link profile but in this case it was actually a wide scale, no punches pulled attack on the whole industry within the country. The resulting manual reviews meant that the competitors were left dealing with more than just a Penguin slap but most received a full penalty. The result was that only one or two SEO Companies with clean backlink profiles survived but most would assume that this manual review was triggered by the Penguin update, not by an unscrupulous Shady SEO Company. As this Shady SEO Company was also the same company that had already received a manual review and penalty one must wonder about the motives behind such a large scale attack, let alone how one sleeps at night. These are just some of the Shady SEO stories I have heard in the past 5 years in the industry. If you have suffered at the hands of a Shady SEO Company or have a Client that has come to you with a similar story please leave your comments below. We can only hope that a little name and shame can help the industry clean up its act.